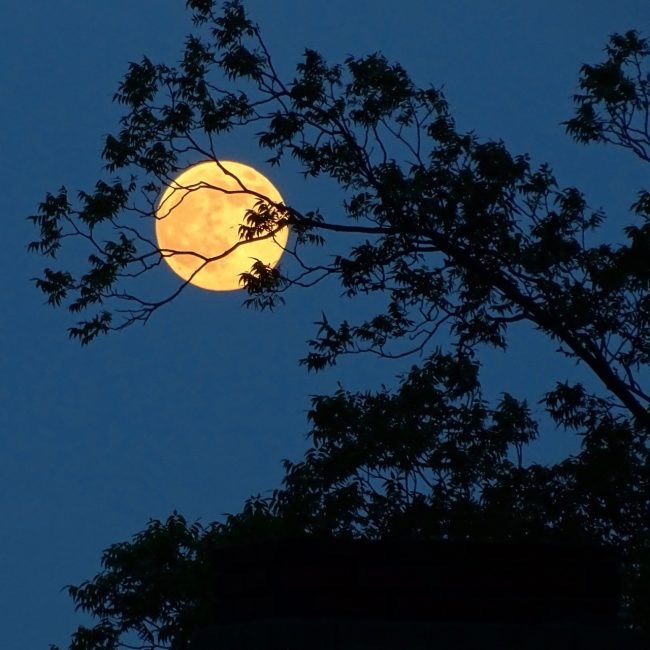 Mindful Monday: Guru Purnima Moon | Breathe. Sweat. Smile. Happy Monday, oh mindful ones! I do hope you had a lovely weekend. And I especially hope that you were able to enjoy the lovely full moon on Saturday night! Our July 2017 full moon brings with it powerful shifting and transforming energy! Whenever we have a full moon, our thoughts, actions, intentions and emotions are magnified. So important this time of the month and always to be very cognizant of your thoughts and attitudes. Mindfully shape your thoughts, words and deeds. This time frame may turn out to be a very productive and transformative shift for you. During this time of year in India (and around the world), the Guru Purnima is celebrated. 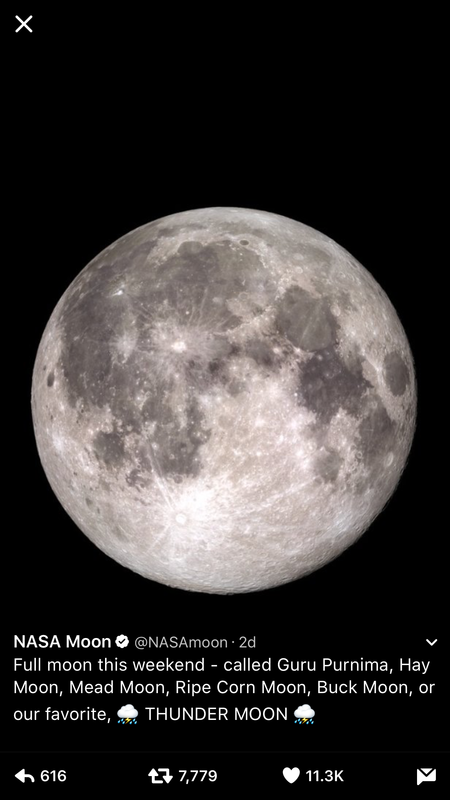 It is observed on the first full moon after the summer solstice. It’s a very significant day devoted to thanking and acknowledging one’s teachers. The word Guru is derived from two words, gu and ru. The Sanskrit root gu means darkness or ignorance, and ru denotes the remover of that darkness. Therefore, a Guru is one who removes the darkness of our ignorance. While traditionally spiritual and academic teachers are revered during this occasion, in practice, one can honor any person who removes darkness or ignorance. This year, even NASA mentioned the Guru Purnima on Twitter in a listing of all of the July full moon’s names. Pretty exciting stuff! Have a great week, yogis! See you on your mat. Just a reminder that today is the first day of our Salute the Sun Summer challenge! Go earn your stickers, friends!